Agile Aero, Inc. is a group of aviation and aerospace professionals with expertise in many aspects of advanced aerospace vehicle design, construction, and operations; rocket propulsion; and the regulatory environment for these activities. We provide consulting services in these areas, but our focus is on a larger goal. We have seen in our careers many advanced aerospace projects falter because of the long development cycle for custom aerospace vehicles. In recent years, there have been breakthroughs in rapid development and prototyping of rocket engines, of satellites, and of many subsystems for advanced vehicles. But the integrated vehicles are still developed with older, slower methods. Agile Aero intends to bring modern rapid prototyping to complete vehicles, for space launch, for hypersonic air vehicles, and for innovative aircraft. MOJAVE, CA, November 23 (XCOR PR) — XCOR Aerospace announced earlier today that two of its original founders, Chief Technology Officer Jeff Greason and Chief Engineer Dan DeLong, are stepping back from their current positions. With the first Lynx closer to completion, both want to turn their attention to pursue other interests. The two stood at the cradle of the Lynx reusable launch vehicle and have been working painstakingly on the revolutionary spacecraft for the last years. Greason will maintain his position on the company’s Board of Directors. Editor’s Note: A third founder, Aleta Jackson, has also left XCOR. She’s not speaking about it on the record at the moment. MOJAVE, Calif., November 16, 2015 (XCOR PR) – XCOR Aerospace announced today that it has completed work on its Lynx simulator system, built by Protobox LLC in conjunction with the Air Force Research Lab (AFRL) at Wright Patterson Air Force Base in Dayton, Ohio. 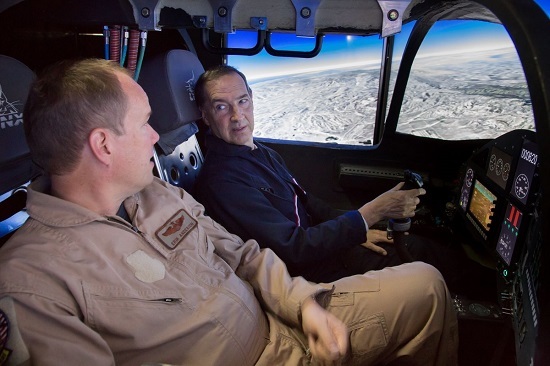 This simulator will provide XCOR invaluable training as the test pilot team prepares for Lynx flight test. “You’re looking at our first fit-up of the chine panels to the sides of Lynx,” says XCOR Engineering Manager Brandon Litt. 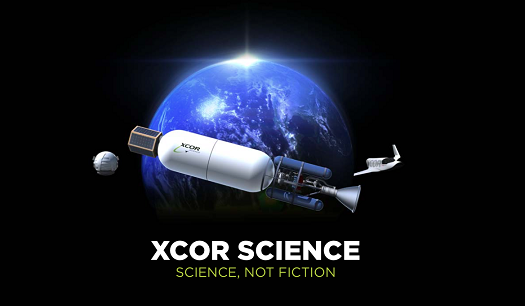 A while ago, I mentioned that XCOR had developed some cool things that it hadn’t publicized yet. Here’s one of them. Meet the trunnel. XCOR has modified a Ford F-250 pickup so that it conduct tests with a one-third scale model Lynx on the Mojave runway at 100 mph (160 kph). It is now conducting tests (below) to make sure it has gotten the air flow right before putting a Lynx model on top. They’ve also done tests on the rudder. And off the trunnel rides into the Mojave sunrise. I think once it completes tests on the Lynx, XCOR should lease thing out to a movie company as a supervillain or superhero vehicle. Or simple mount a gun and go bullseye some womp rats over in Beggar’s Canyon. 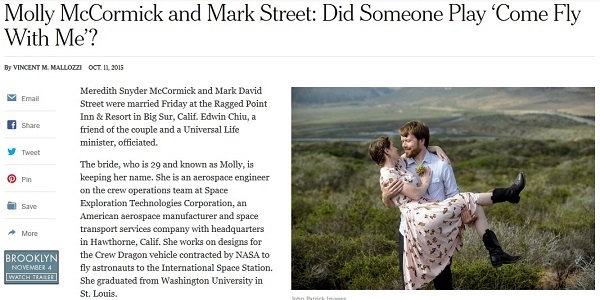 Congratulations to Mark and Molly. Ad astra! WASHINGTON, D.C. (CSF PR) — The Commercial Spaceflight Federation welcomed several new member companies at its Executive Board meeting this week, expanding its membership to more than 60 companies. Spaceport Camden of Camden County, Georgia joined CSF as an Executive Member. 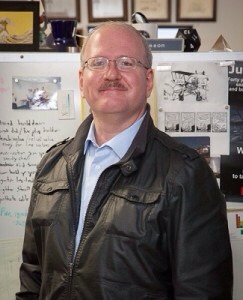 Steve Howard, Spaceport Camden project leader, will represent his organization on the CSF Board of Directors. “CSF’s mission strategically aligns with Camden’s goals, and we are pleased to join other industry leaders as part of this organization,” Howard said. Here are a couple of short XCOR press releases related to agreements signed by CEO Jay Gibson in Europe back in May. One is an agreement with the German space agency DLR relating to medical screening protocols for Lynx passengers. The second involves a multi-party letter of intent Gibson signed with ESA-ESTEC and two other organizations to jointly develop a new space mission concept. XCOR didn’t publicize the trip at the time, and the information only recently appeared on the company’s revamped website. COLOGNE, Germany — XCOR’s CEO Jay Gibson signed an agreement with Professor Rupert Gerzer, General Director of the prestigious DLR Institute for Aerospace Medicine in Cologne, Germany on May 20. 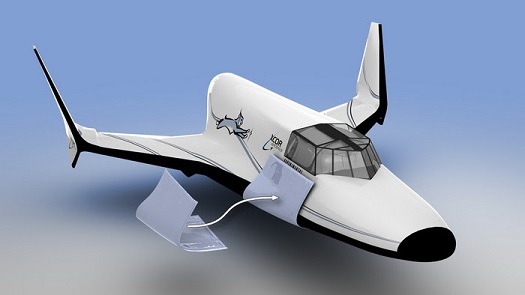 DALLAS (Citizens in Space PR) — Citizens in Space has announced the payload manifest for its first flight on the XCOR Aerospace Lynx spacecraft. 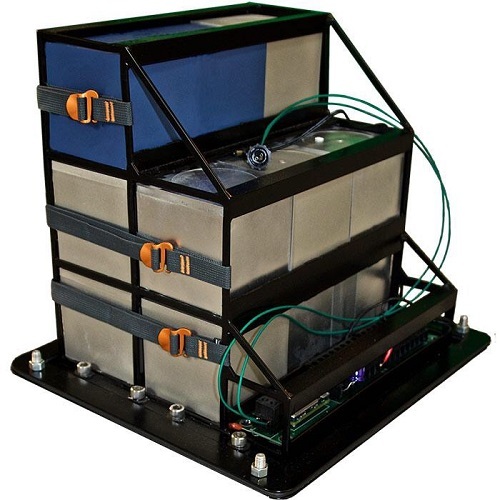 The experiments will be carried aboard the Lynx Cub Payload Carrier, an open-source payload carrier developed for the Lynx spacecraft by Citizens in Space. Experiments will be controlled in flight by a Citizens in Space science-mission-specialist astronaut. 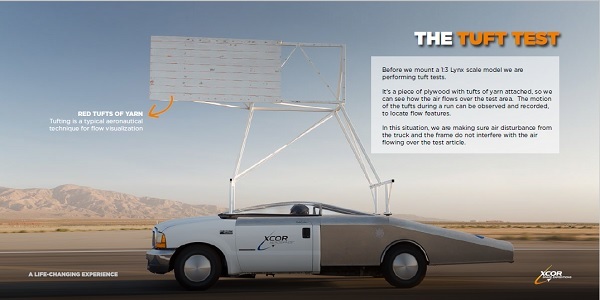 Mojave, CA, July 22, 2015 (XCOR PR) – XCOR today announced the redesign and re-launch of its flagship domain, XCOR.com. The new site includes each of the three XCOR brands in one space: XCOR Aerospace, manufacturer of XCOR Lynx spacecraft and rocket engines; XCOR Space Expeditions, offering Lynx ticket sales and Lynx astronaut trainings; and XCOR Science, the newest division of the company. XCOR Science promotes suborbital research and education missions onboard Lynx for government, university and commercial customers, with a focus on the broad range of mission offerings onboard the spacecraft. New interactive features and a dynamic user experience allow visitors to better explore Lynx capabilities, and XCOR as a whole. The site also supports the rapid growth of the company as it heads toward commercial flights. WOODBINE, Ga. (Camden County PR) — The Camden County Board of Commissioners and County Administrator Steve Howard are pleased to announce the recent addition of Andrew Nelson to the Spaceport Camden Project Team. Nelson is a recognized leader in the commercial space sector with a diverse background leading innovative entrepreneurial space companies, the development of new regulatory environments for the industry and working with governments on the formation of spaceports and operational sites for the industry. AMSTERDAM, July 16 (XCOR Space Expeditions PR) — XCOR Space Expeditions announced that it will be raising the price of a flight aboard Lynx from $100,000 to $150,000 effective on January 1st, 2016. With the spacecraft getting closer to completion, a major milestone for the company, the price will be raised to align more closely with the current market value of a commercial spaceflight. 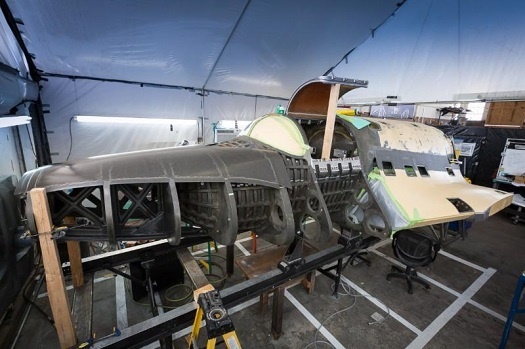 Mojave, California, July 09, 2015 (XCOR PR) – XCOR Aerospace and XCOR Space Expeditions announced today that XCOR has hosted its first XCOR Lynx customer day-dubbed “Operation Hangar 61”. Directed by XCOR Space Expeditions, the experience included 41 guests from 14 countries and 5 continents visiting XCOR in Mojave and attending XCOR events in Los Angeles, including a tour of the California Science Center and Griffith Observatory.